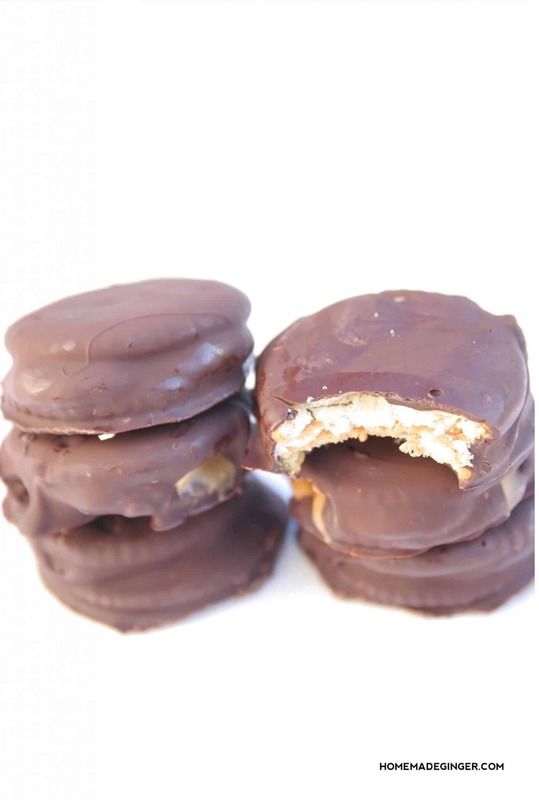 Salty, buttery Ritz crackers with sweet chocolate and marshmallows are a match made in heaven! 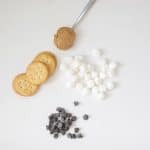 This Ritz s’mores recipe is easy and delicious. 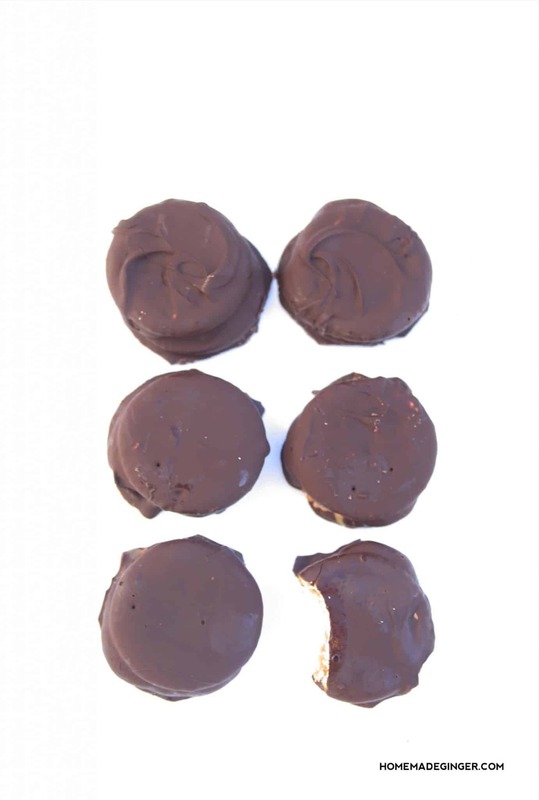 I recently had some chocolate covered Ritz and I was immediately hooked. 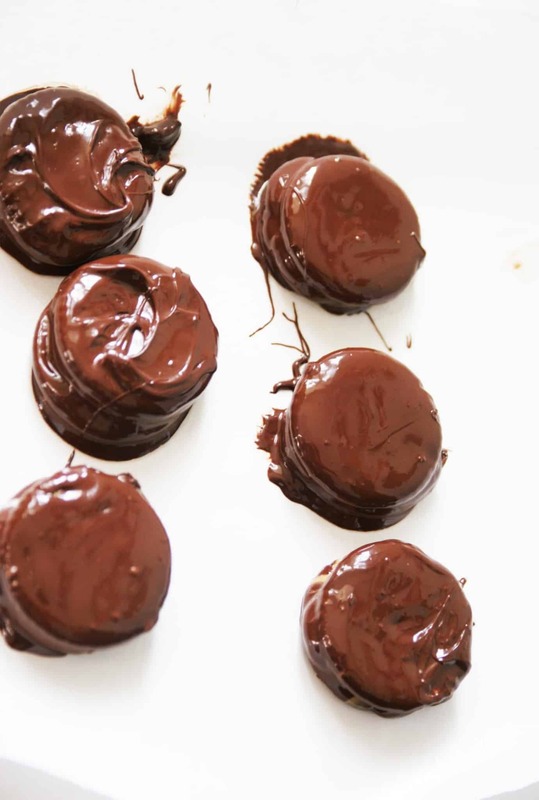 The salty, buttery Ritz cracker with the sweet chocolate is just a match made in heaven. But when I had to buy mini marshmallows for a different recipe, I had the idea to make some Ritz s’mores. Let me tell you, this cookie recipe is to DIE for. These are the perfect balance of salty, sweet, crispy and creamy. I went with dark chocolate which was key in creating some balance so that these little guys don’t turn out too sweet. And the marshmallow in the middle makes them almost light and airy. 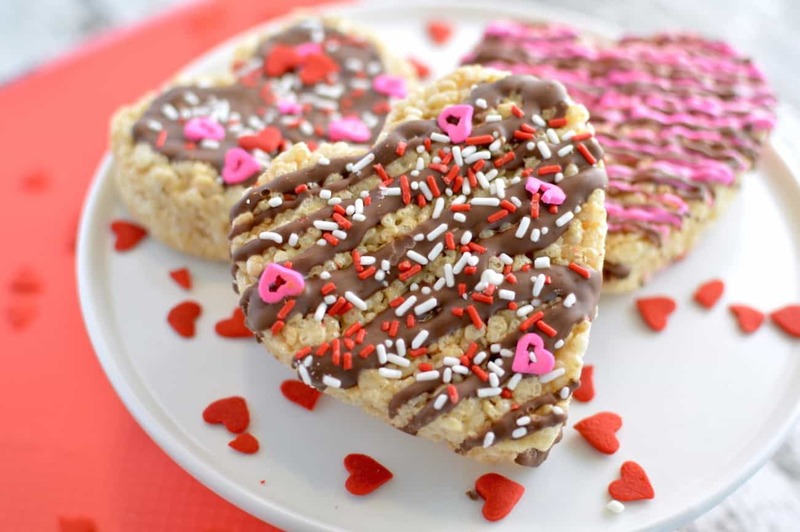 Make these for a holiday party, New Year’s Eve get together or give as a gift. And the best part is that they couldn’t be easier to whip up! 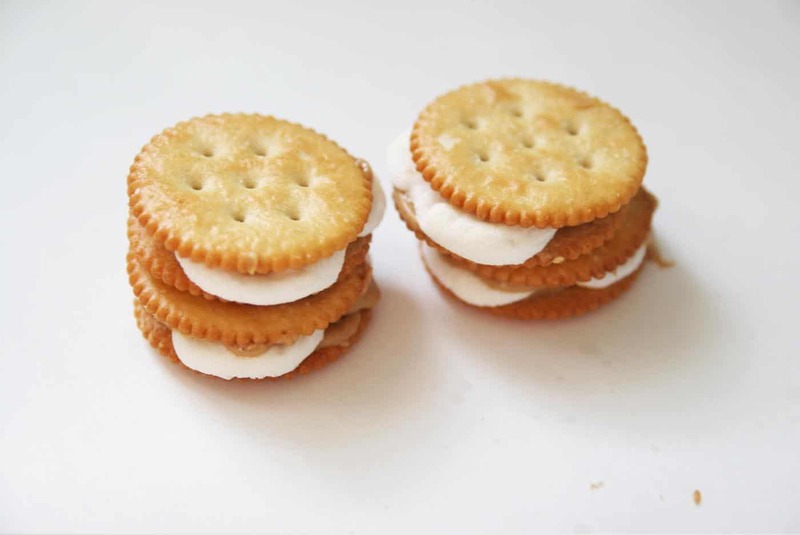 The first thing you need to do is spread a thin layer of peanut butter on the crackers. Next, place 3 mini marshmallows on the peanut butter. It’s the perfect “glue” to make them stick. 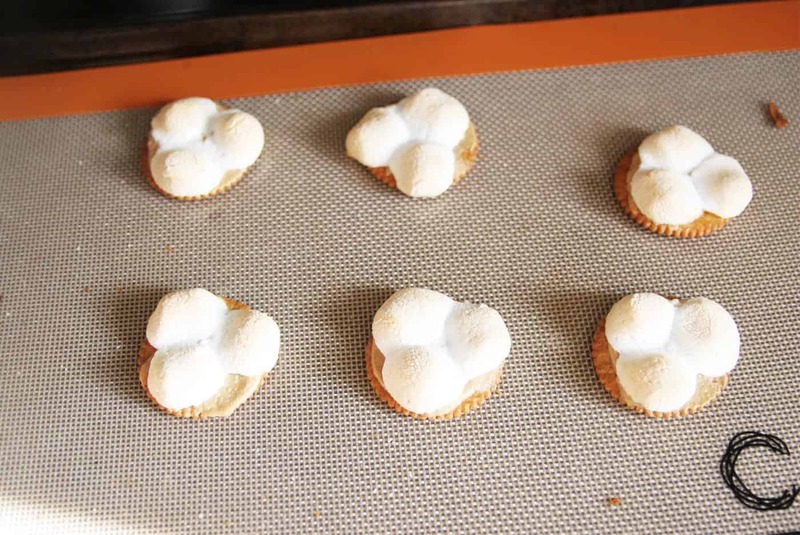 Put them in an oven preheated at 350 degrees for about 6 minutes or until the marshmallows are slightly soft and melted. 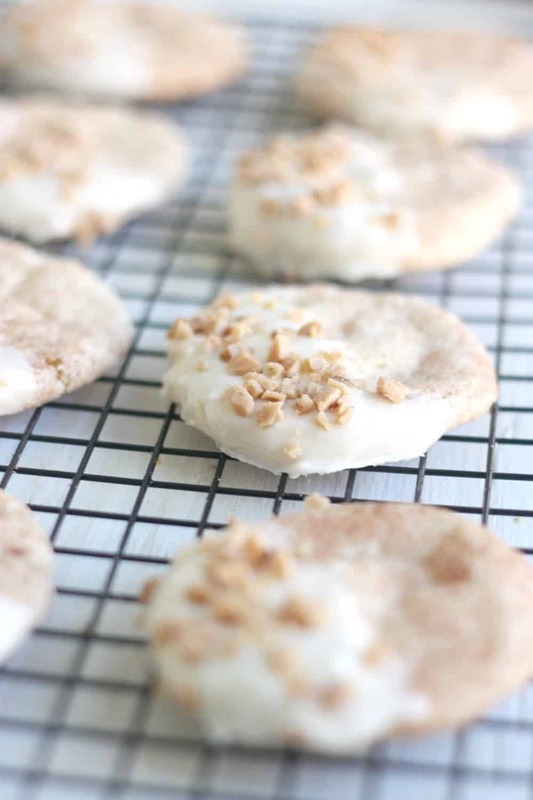 Top them with another cracker that has a thin layer of peanut butter on it to stick everything together. 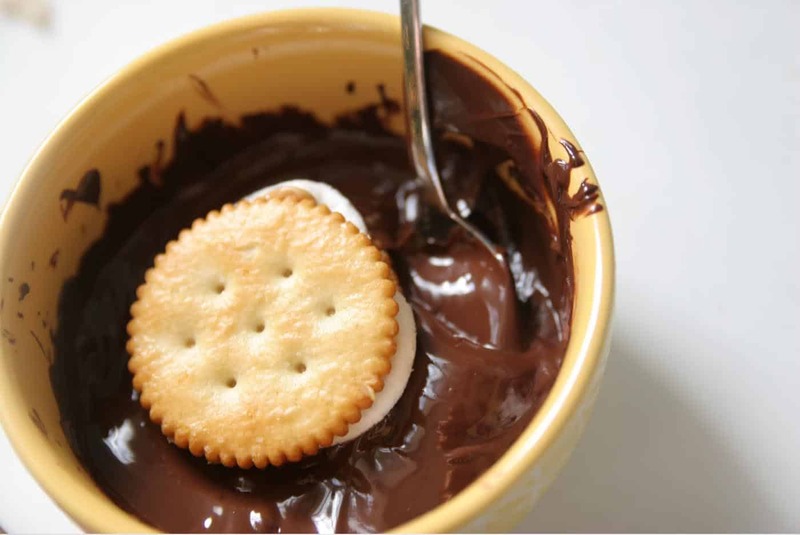 Melt your chocolate chips and dip each cracker sandwich in the chocolate until it is fully covered. Place them on waxed paper to cool. I stuck mine in the fridge to speed up this process because I’m super impatient! And now they are ready to devour. The marshmallows get a little hard in the fridge, but after they set out for a bit the marshmallows will soften again. It does not affect the flavor at all, they still taste amazing! 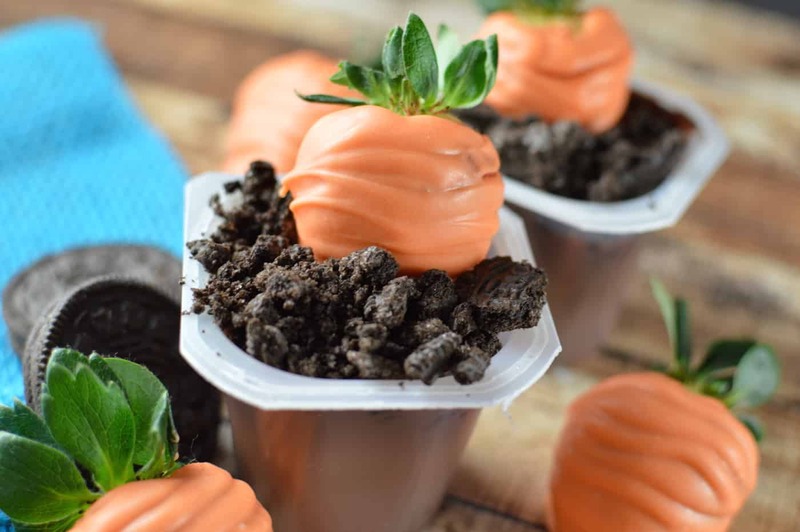 How cute would these be packed up in some cellophane to give as a teacher gift? 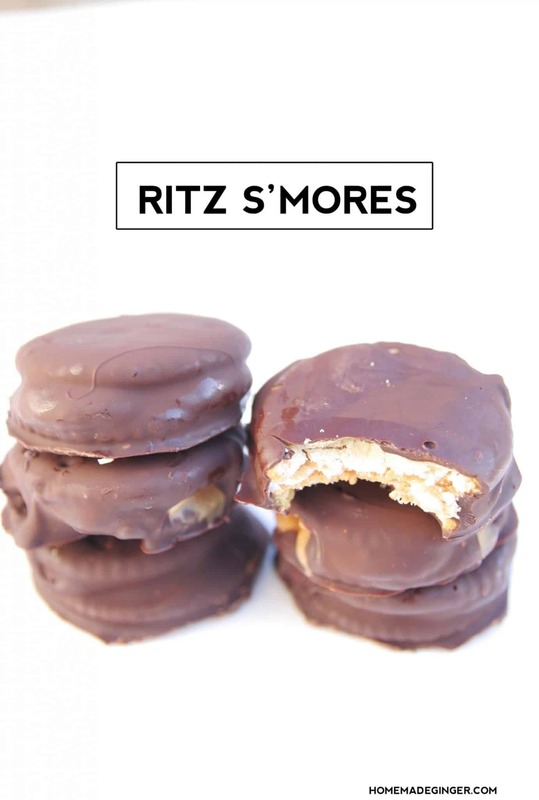 I can’t imagine anyone not loving these Ritz s’mores! 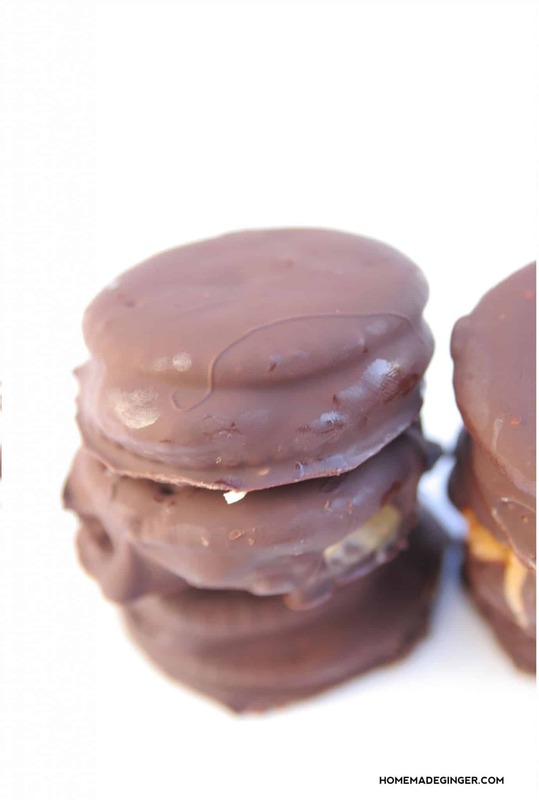 Salty, buttery Ritz crackers with sweet chocolate and marshmallows are a match made in heaven! 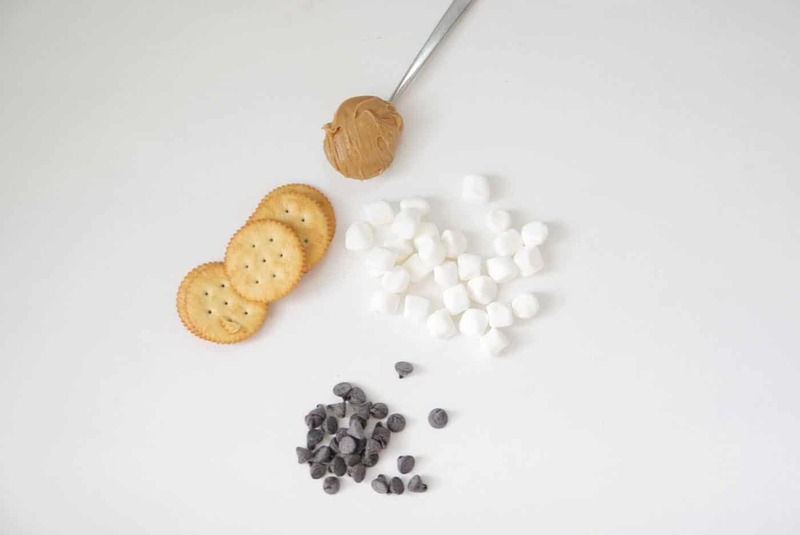 This Ritz s'mores recipe is easy and delicious. 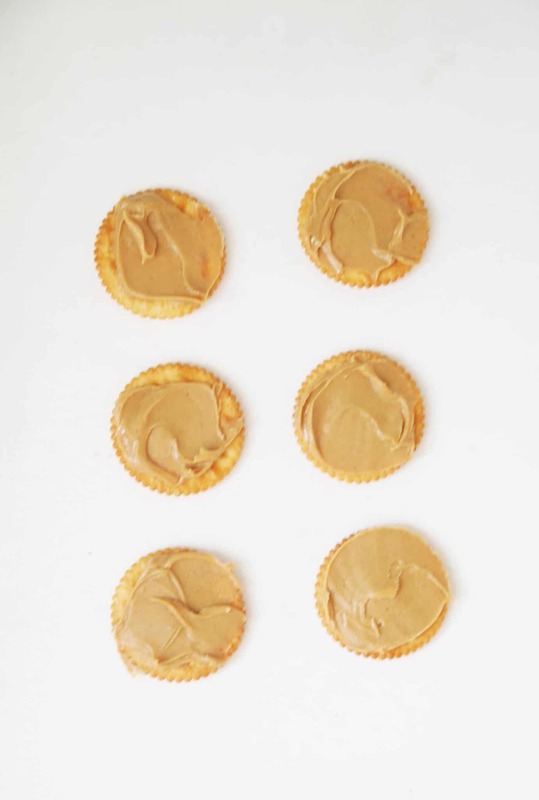 Spread a thin layer of peanut butter on the crackers. 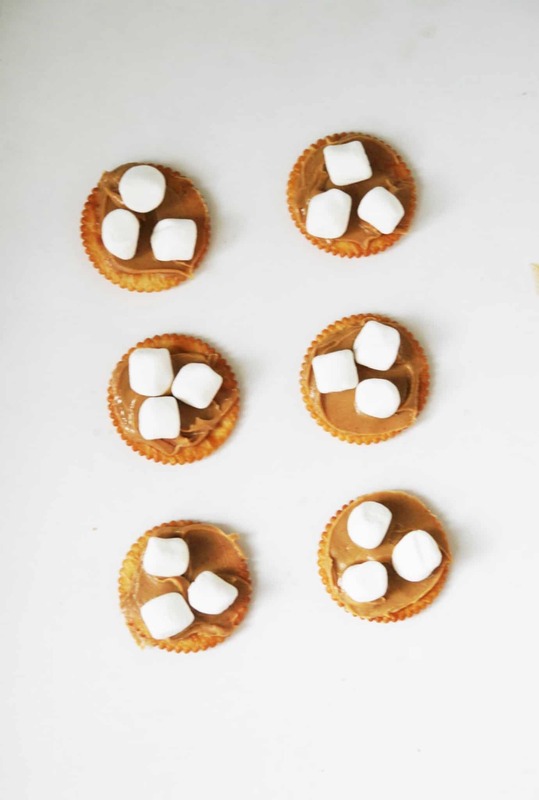 Place 3 mini marshmallows on the peanut butter. It’s the perfect “glue” to make them stick. Put them in an oven preheated at 350 degrees for about 6 minutes, or until the marshmallows are slightly soft and melted. Place them on waxed paper to cool. 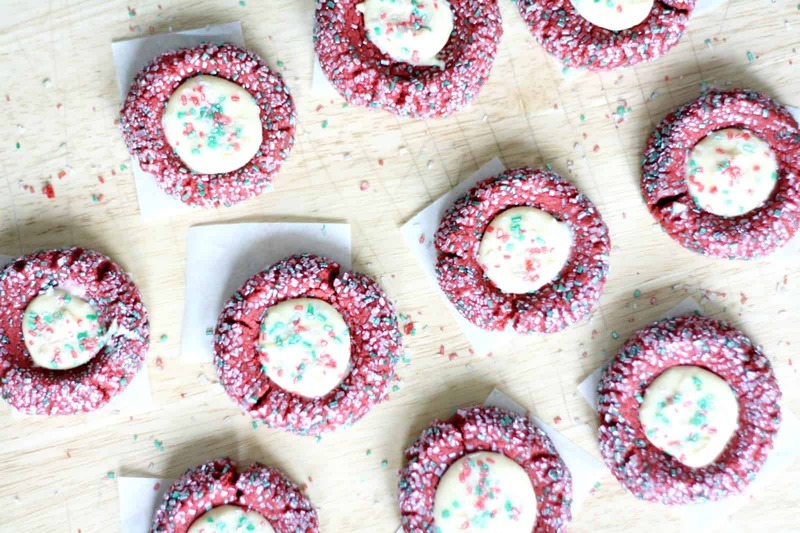 Go make this cookie recipe NOW and you can thank me later! I hope you will hop over to Homemade Ginger where I blog about creating lovely things without spending a lot of money.